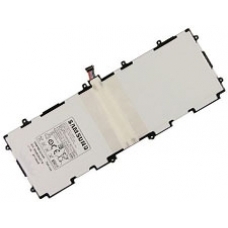 Replacement battery for the Samsung Galaxy Tab 3 10.1 inch. This battery is suitable for the following model numbers the GT-P5210, GT-P5200 and GT-P5220. If the tablets battery no longer charges or drains quickly you will need to replace the internal battery using this genuine original Samsung Li-ion part. * Battery Capacity 6800 mAh.